Compliance can be a heavy burden, and is especially top of mind with the upcoming GDPR regulation on May 25, 2018. But, if you’re feeling overwhelmed, you’re not alone. 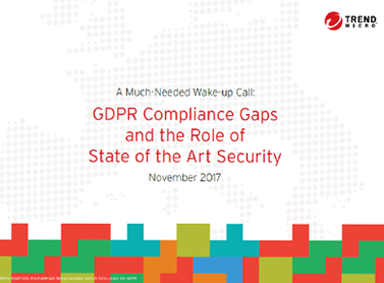 Read this Opinium survey report, commissioned by Trend Micro, to learn how prepared IT professionals from 12 countries in Europe and North America are when it comes to compliance in general, and the upcoming GDPR. You’ll learn how to be better prepared and steps you can take to ensure you have state-of-the-art security. ©2019 Trend Micro. All rights reserved.